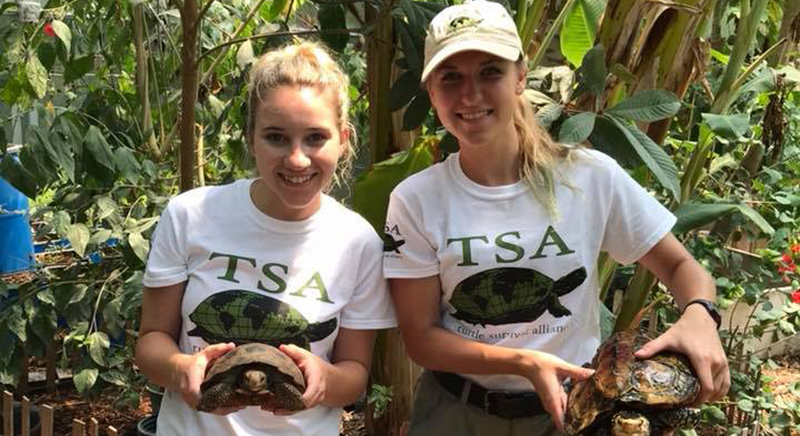 The Turtle Survival Alliance (TSA) is offering a unique opportunity for self-motivated people to gain hands-on experience with the day to day operations of a non-profit chelonian conservation center. 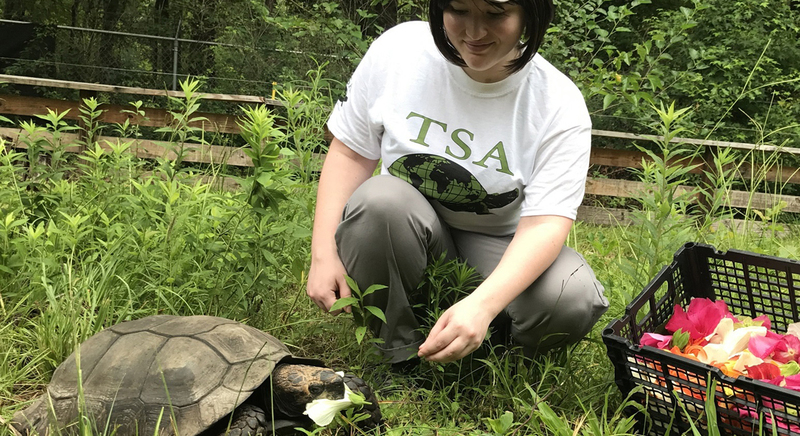 The TSA is seeking applicants for full time internships at the TSA's Turtle Survival Center (TSC) in Cross, South Carolina. The TSA's mission statement is: Transforming passion for turtles into effective conservation action through a global network of living collections and recovery programs. The Turtle Survival Alliance Foundation is a registered 501(c)(3) non-profit organization, an action-oriented global partnership, focusing on species that are at high risk of extinction, and working in turtle diversity hotspots around the world. Widely recognized as a global catalyst for turtle conservation based on its reputation for swift and decisive action, the TSA has made a bold commitment to zero turtle extinctions in the 21st century. With projects or programs in Belize, Colombia, Europe, Madagascar, and throughout Asia, the TSA is a recognized force for turtle conservation globally. and is home to a growing collection of more than 700 turtles and tortoises, representing 30 of the world’s critically endangered species, and cared for by a staff of five full time employees. workdays may exceed 8 hours. with another intern of the same gender. No pets are allowed. know in your application so we may determine if the TSA can accommodate any requests. (cdoak@turtlesurvival.org), and include a date range of availability. "I had a lot of fun during my internship. I was busy every minute whether it was preparing meals, cleaning tanks, helping with injections, or plumbing ponds! Every day was different and I was extremely happy to work. I learned a lot about turtles and tortoises. From this experience I've been inspired to start my path in reptile conservation."